ስለ ቅዱስ ፓትርያርክ ከስልጣን መውረድስ ሕገ ቤተ ክርስቲያን ምን ይላል? እግዚአብሔር የቤተክርስቲያናችን አንድነት ይጠብቅልን። አሜን!! Good job, God bless you!!! ymaneme hune egna mine agebane? So? Who cares!!! Yemaneme mehone techilaleh....mani gede alwena about u??? you have the right to choice where ever you want to belong, but you have to know one thing , the holiy synode in ethiopia is fake. it is already taken its power by the government and it is not the assembly of holiy spirit. ( not yemenefese kidus gobae). please understand. that is your mine problem. it is good to write and express your opinion, but don't mislead people. we the people who are living in usa and europe or canada, we know who is the true leader.Talk to your MK or EPDRF people or cadres.I am true christine like you practice your religion. 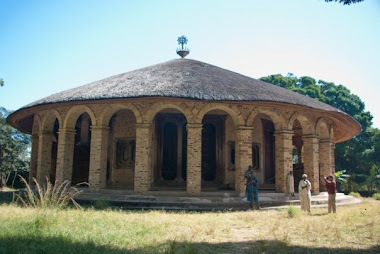 enough is enough from now on abba paouls is responisble to Melese not ethiopian orthodox tewehedo church followers. A. Pauls , he doesn't care about you , Jesus cares for you. A. Pauls as long as EPDRF or Meles in power, you can't do anything about abba pauls.you think the problem is Abba Merkorewes or A. Paul, if you say one of them , you are wrong, the problem is Melese and leftover takers of ethiopian orthodox church bishops who are surrender themselves for the world. Eere ebakihe? Ymaneme wegeni ayedelehime endi? weyi! alekerebehem...mognehin felege...diro newe yemane wegene mehonehen tenekekne yemenawekewe...geni lemeni mewashite asfeleghe? I wonder why these guys want to write their highly negative comments. I dont think they are reading the content of the post. Sorry, I wrote it in English. I will setup amharic software for my for my next comment. Abel Quedamawi you are telling the truth about the "Geleltegna" Churches. though the supporters of these "churches" obviously want yu to get discouraged and stop what you are doing. Believe me i've been surving in "Geleltegna" church for more than 8 years everything you said is true but the commentators in this blog mostly are so naive they just believe what they hear. keep what you are doing we need more people like you.